No athlete, whether participating in an individual or team sport, would ever consider embarking on a path of high performance without a coach, even if they’ve essentially dedicated decades to the same sport. So, where does that leave the poor entrepreneurs of this world? 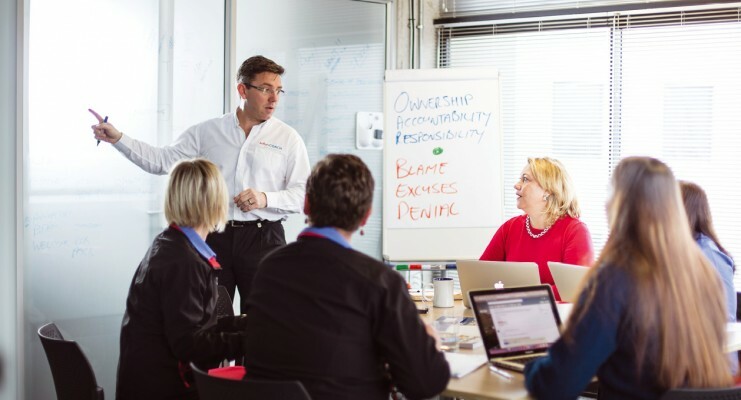 For the past 25 years, ActionCOACH business and executive coaching has been giving the same high-performance privileges to business owners and executives around the world. Having originated in Australia in 1993, today, ActionCOACH operates in over 70 countries across an even spread of developed and developing countries. Master Licensees for Sub-Saharan Africa, Harry Welby-Cooke and Pieter Scholtz, brought the global phenomenon to South Africa in May 2007 and have continued to grow from strength to strength. 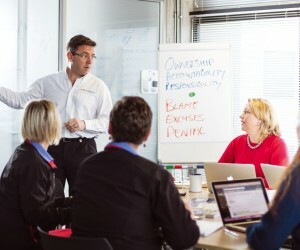 Today, their team of 47 full-time ActionCOACH business coaches ensure a high performance across the business landscape. As sophisticated as the world has become, you still can’t go just anywhere to really learn how to run a business. Yes, there are some entrepreneurial-focussed courses but the real learning generally comes in the form of mistakes and learning through paying lots of ‘school fees’. Unfortunately, with margins always under pressure and often heading in the wrong direction, those same ‘school fees’ are becoming impossible to pay. Add to that the unforgiving nature of business, the robust credit processes of our banks, as well as the large-scale unemployment and entrepreneurs really have little margin for error. You’ve got only one chance to make it work and that’s it. Coaching is, however, not just for the new or struggling athlete, just in the same way as it’s not only for the startup or struggling business. In fact, many businesses have reached a ceiling of success largely engineered by the level of the entrepreneur. The business owner has taken the business as far as they know how and they now need some outside intervention to ensure it breaks through to the next level of success. Perhaps another great example lies in the saying: “Teach a man to fish and you feed him for a lifetime.” That truly depends on what fish you’re trying to catch, doesn’t it? Teaching your child to catch their first fish by standing next to the dam in no way empowers them to go deepsea fishing for marlin. Whilst the principles may be the same, the equipment, techniques, bait and processes all differ. In the same way, catching a bigger business also requires a different approach. Business can also be lonely at the top and who truly supports you? Whether your challenge is time, your team or money, an ActionCOACH is exactly what is required to ensure you become world-class and in doing so, you can deliver a high performance consistently. As Jim Rohn said: “Work harder on yourself than you do on your job.” ActionCOACH ensures you and your business grow into what they define as a true business: ‘A Commercial Profitable Enterprise that Works Without You.’ Perhaps that’s exactly why the business is called ActionCOACH in the first place. Not Tomorrow Coach, nor WhenIGetTheTime Coach but ActionCOACH. If you’re serious about your business, perhaps it’s time you take Action!